Civil celebrant based in Canberra, available for interstate ceremonies. I come from an extended Italian family. As a result I was roped into being the MC at numerous, large weddings. This role ignited my desire to become a marriage celebrant. 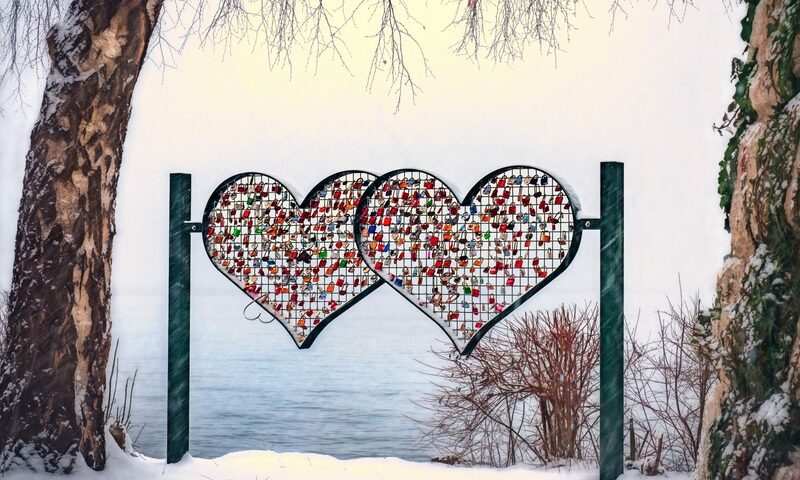 I decided it was a great way to combine my passion for public speaking and my love of LOVE. I am a stand-up comedian. I have worked in writing and performing as well as directing and producing for a number of festivals. However I take all ceremonies very seriously and am truly happy to follow your lead in creating the wedding you want. I believe my performing experience assists me to think on my feet, handle technological requirements, read the needs of the gathering and project my voice. I have worked in marketing for Oxfam Australia. My role included going out to schools and talking to students about the importance of developing a social conscious and the ways in which they could help those less fortunate. It was empowering and inspiring work and I gained further experience speaking in front of large crowds. If you would prefer a matronly, stuffy celebrant who isn’t in favour of marriage equality, then I am probably not the celebrant for you. Otherwise I look forward to hearing from you. You can also check out my 5-star reviews on Easy Weddings. I am excited about being a marriage celebrant and look forward to working with you to create a wonderful, engaging and friendly wedding or commitment ceremony. It will be a pleasure helping you create a day that is truly unique for you and your partner. I will ensure that my professionalism, my extensive experience in public speaking and my genuine warmth helps bring honesty, creativity and joy to your occasion. Once you decide I am the Celebrant for you, I meet with you both to plan your ceremony. I listen to your stories and talk about ways to incorporate them into the ceremony. We can also discuss vows, readings and creative ways to involve loved ones and the use of symbols and rituals. I am happy for us to meet as many times as it takes to ensure you have the wedding that represents you. On the day of your ceremony I will consider and respond to the needs of the whole gathering as well as the bridal party, witnesses, readers, musicians and any other members of ceremony staff. I can also liaise with your photographer if required. As a civil celebrant I am also available for naming days. If you are looking for a celebrant with warmth, humour, intelligence and dedication, we would highly recommend that you choose Tan Losanno. We had a few unusual circumstances surrounding our wedding, which required a bit of extra bureaucratic wrangling. We were incredibly lucky to have Tan’s enthusiastic commitment to finding a way to make the wedding happen on the date we needed it to happen, and her knowledge of how the system works was invaluable. Tan went well and truly above and beyond the services you might normally expect from a celebrant and helped us achieve what had seemed like it might be impossible. Tan helped us to create a ceremony, at very short notice, that was exactly what we wanted. She gave us lots of ideas and suggested ways that we could include our children and immediate family in the ceremony. In all of our dealings with her Tan was friendly, extremely helpful and wonderful to deal with, and she delivered so many thoughtful little touches along the way. Her warmth, sense of humour and charisma also gave our wedding ceremony exactly the right tone. Our wedding ceremony went beautifully. We couldn’t be happier that we chose Tan as our celebrant, and we cannot recommend her more highly. Thank you so much for being our Celebrant, you were so beautiful as a speaker and friend to us. Your words were genuine and loving and we felt you could not have said anything more perfect. Not only above and beyond professional but kind hearted. So many of our guests mentioned how wonderful you were. Our ceremony went perfectly and so smoothly with no hiccups and in those moments we felt it was like fairy tale come true. Owen and I felt very respected as people and with the choices we made for our ceremony. You are such a wonderful person and I don’t think our day would’ve been the same without you there guiding us through it. I’m so grateful for what you have done for us, and I wish you all the best for your future. And if we were to meet again we would not only meet you with kindness and respect but as a friend. 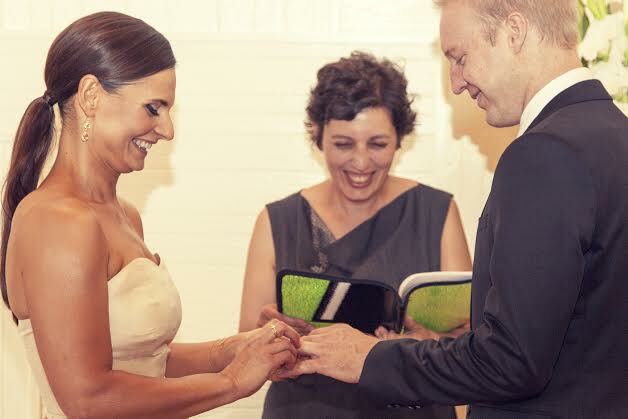 The moment we met Tanya, we couldn’t imagine anyone else being our celebrant. Over a few months of wedding planning she provided us with endless help, advice and innovative ideas. Her warm and bubbly personality helped us release a bit of the pre-wedding stress, and her fantastic sense of humour made the process even more fun. Thanks to her, we managed to design a ceremony that was very intimate and private, but unique and memorable at the same time. When on the day we exchanged the vows, she was just one of our circle of very close and special people present. It was great to have her standing next to us. We consider ourselves lucky to have her as a new-found dear friend. Tanya was the perfect fit for our ceremony. From the first emails that were sent between us, she was interested and invested in our story and our wedding; she really cared. Tanya took the time to get to know us as people and to adapt the ceremony to fit our vision. On the day, Tanya was so friendly and down to earth and everyone who attended couldn’t help but comment on how eloquently she captured and explained our individual characters and story. Many even said she was so genuine that it felt like she was part of the family. We can’t thank Tanya enough for the part she played in our wedding! We were so lucky to have had Tanya as our celebrant! As soon as we met, it was like sitting down with an old friend, laughing and having fun. She made planning our wedding ceremony so easy. Our personalities were demonstrated perfectly throughout the ceremony and before the wedding started, she had everyone at ease. Her relaxed, friendly demeanour was matched only by her professionalism and attention to detail. We would recommend Tanya to anyone looking for a contemporary ceremony with a touch of hilariousness.We are very lucky to call her our friend. My husband and I could not have chosen a more perfect celebrant for our wedding! From the first email I received after my enquiry I knew I had made the right choice with Tanya! Tanya brought our ceremony vision to life and made our wedding day a dream come true! For a ceremony that could have been a problem for many other celebrants, with my husband out of the country for most of the planning, Tanya made it seem like a breeze! Tanya kept in touch frequently and kept us informed with everything. On the wedding day she popped in to see me right before the ceremony (as I was getting ready at the venue) and definitely calmed me down! Tanya came to the rescue mid ceremony with her copy of wedding vows when my husbands weren’t in his pocket!!!! Our guests loved her and many commented on how much she suited us with her bubbly, funny and friendly personality!!! I would recommend Tanya to anyone getting married that wants a trouble free process and a light hearted ceremony. I instantly got a long with Tanya and I know she genuinely cared about us and our ceremony!!! We will forever cherish how beautiful Tanya made our wedding day! Tanya’s young, vibrant energy made planning the ceremony of our wedding far more enjoyable and exciting then we had ever hoped it would be. She was always ready to explore new ideas with us and really took the time to get to know us as a couple. Tanya was caring and thoughtful, tailoring the ceremony to reflect our own beliefs and personalities. We truly felt that we were married by a new friend who was there to help us begin our married lives together. From first contact she was enthusiastic and excited to meet us and discuss what we were wanting for our ceremony. She took the time to listen to us and made sure we knew we could do anything we wanted as it was going to be all about us anyway. In the subsequent meetings we had with her we almost forgot to talk about the wedding! We chatted like old friends and it was then we knew we had found a celebrant that got us and that we could really get along with. We held a rehearsal the day before at the venue and Tan really put us at ease with how everything was going to go. The personal touches in the introduction and the general fun nature of the ceremony she had written blew me away with how good it was! Tan had bought her own PA system and was well set up and ready to go well before the ceremony was due to start. She really got the nature of our wedding and had our guests laughing and cheering. Every second person was raving about how great she was and we couldn’t have asked for more. Tan was everything we wanted in a celebrant and she truly is an amazing person who will absolutely make your special day that much easier, fun and enjoyable. Highly recommended!!! Thank you so much for being a wonderful marriage celebrant. We couldn’t have asked for more. You really have found your calling! Everyone loved how you performed the ceremony. We have had lots of people talk about how warm and professional you are as a person. Your ability to personalise the ceremony for us was greatly appreciated. We cannot thank you enough! I’m so glad to have met you and that you have been part of this very special journey with us both. Tanya was the perfect celebrant for us, and I think we found one of Canberra’s finest. From the first inquiry email she was friendly, informative, and was able to answer our questions. Our first meeting was great, Tanya’s approach was professional but felt relaxed and genuine. Leading up to the wedding we were able to have as many meetings as we felt were needed, and she was flexible when sorting out when and where to meet. Tanya was always excited and enthusiastic when we met and showed interest in the wedding planning and as well as how we were going. Tanya was extremely supportive of our unique quirky ideas and found ways of helping us tie those into our ceremony. When it came to our big day Tanya was confident, relaxed and funny. Our family and friends were all very impressed with the ceremony and we had so many compliments saying how well it showcased our personalities and unique style. We were lucky enough to catch Tanya again a few weeks after our own wedding at one of our friend’s wedding ceremony’s. Once again Tanya was able to highlight the bride and groom in a beautiful way. We are so thankful that we were able to find such a down to earth celebrant in Tanya, and wish we could do it all over again. Thank you Tanya for helping us become one. Tanya, thank you so much for the amazing ceremony you performed for me and Jeremy. We spoke with a few other celebrants who just didn’t feel right, but when we met you, we knew you were perfect for us! Your speech had the perfect balance of humour and warmth, kept everyone entertained, and was exactly what we asked for. We loved how willing you were to accommodate our unusual requests. or by using the form below including your location.